Instinct. We all know what it is, but are hard pressed to acknowledge just how it guides us. Instinct subtly defines our identities, despite our attempts to defy it. The Endless Shimmering, the fifth album by Belfast, Northern Ireland quartet And So I Watch You From Afar, is the sound of a band operating on its purest instincts. Every individual is an algorithm of prior lives and experience acting as its own sovereign entity. Every band is itself a combined algorithm of those instincts, driven by unconscious will to replicate itself in the world as if it were flesh and blood like the people who embody it. The Endless Shimmering is visceral and expressive — decidedly alive and purely instinctual; not conceptualized or postured. It’s ASIWYFA — guitarists Rory Friers and Niall Kennedy, bassist Johnathan Adger and drummer Chris Wee — manifest as a being beyond itself. Perhaps the most immediately noticeable difference on this album is that the ensemble vocals of the previous recordings Heirs and All Hail Bright Futures is dialed back considerably to allow the music to come to the fore. The difference gives the musicians freedom to stretch out and truly shine as performers. 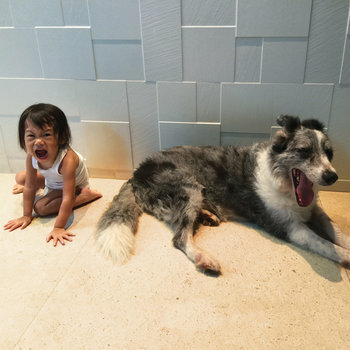 The album opens with a brief, hushed guitar murmur as Chris Wee’s forceful galloping beat sets course on “Three Triangles” while the guitars seem to slowly awaken with whining notes that slowly build upon one another until it all abruptly halts. The whole band suddenly kicks in with chopping start and stop blasts as the chirping lead melody leads the proceedings toward a swirling apex. Elsewhere, “All I Need is Space” and “Terrors of Pleasure” show the band at their finest, unfolding complex, bobbing guitar figures over propulsive and jagged rhythms, while occasionally lunging into ethereal blooms at the drop of a hat. The title track’s unabashedly beautiful and hopeful melody begins so quietly, it’s as if it tries to sneak in under the radar as palm-muted arpeggiated chords and a clean plucked single note line asserts an optimism that finally infects the rest of the band, as they join the chorus of, well, near endless shimmering. Album closer “Chrysalism” is just the anthemic rush that makes ASIWYFA’s live shows such transcendent experiences.